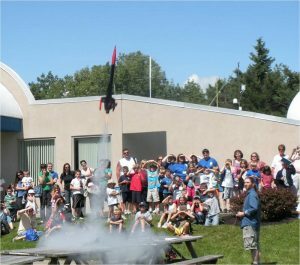 Kopernik Observatory & Science Center’s RocketFest 2016 – 11 June 2016, 9 a.m. To 6 p.m.
* Only Three Weeks to RocketFest! 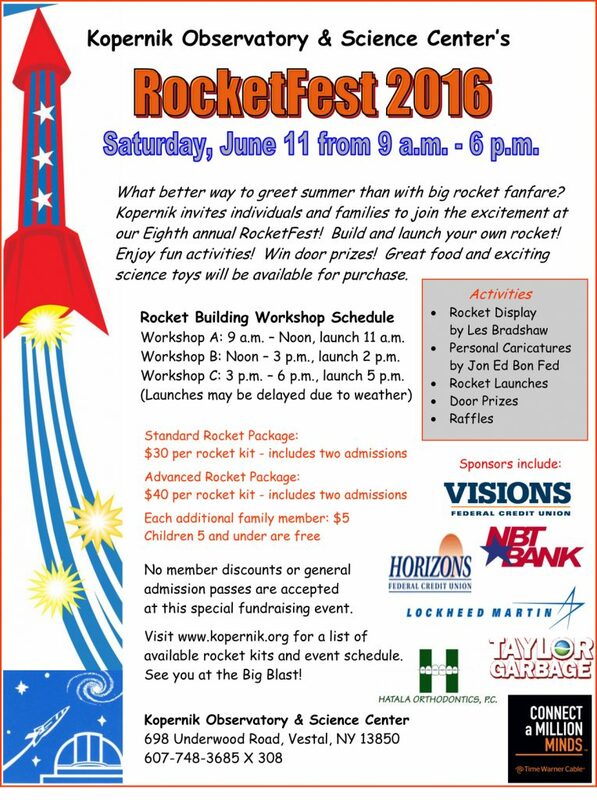 * 3 rocket building/launching sessions: 9 a.m., Noon, and 3 p.m.
Come to Kopernik’s 8th annual RocketFest! There will be three rocket building/launching workshops (9 a.m., Noon, and 3 p.m.) and a variety of standard and advanced rocket models from which to choose. If you have never built a model rocket, Kopernik’s rocket scientists will guide you through the entire process!